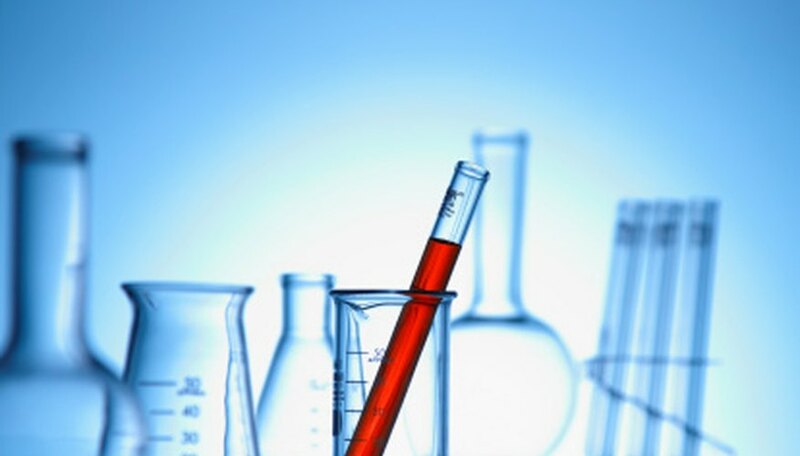 Glassware used as laboratory apparatus offers a wide range of containment and transport functions for solutions and other liquids used in laboratories. 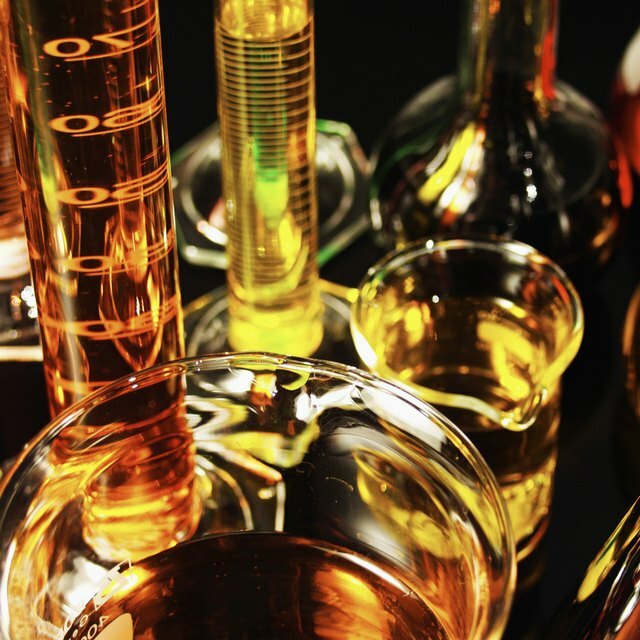 Most laboratory glassware is manufactured with borosilicate glass, a particularly durable glass that can safely be used to hold chemicals being heated over a flame and to contain acidic or corrosive chemicals. All laboratory glassware should be cleaned immediately following use to prevent chemical residue from congealing or hardening. Beakers are glass containers that come in a variety of sizes and can be used for mixing and transporting fluids, heating fluids over an open flame and containing chemicals during a reaction. While most beakers have graduated volume measurements etched into their glass, the measurements are an approximation that may deviate from the actual volume by five percent, making them unsuitable for use as a precision measurement tool. Glass funnels can be used to guard against spillage when pouring chemicals from one vessel to another, and they can also be fitted with a filter to separate solids from liquids. Separatory funnels are also used for filtration and extraction, having a bulb-shaped enclosed body fitted with a stopper on top to prevent spillage when the funnel is inverted, along with a stopcock at the spout’s base, which can be used to gradually lower the bulb’s internal pressure. Graduated cylinders are tall, narrow containers used for measuring volume. While they’re more accurate than beakers, measuring their contents to within one percent of actual volume, they’re not used for quantitative analysis of fluids that require a high degree of precision. Graduated cylinders are fitted with a “bumper ring,” a ring that shields the glass from impacting the work surface if the cylinder’s knocked over. Bumper rings should be placed near the graduated cylinder’s top for maximum protection. Pipets are used to draw precisely measured amounts of fluid from a receptacle. Volumetric pipets are crafted to draw one specific quantity of a sample, while Mohr pipets have graduations that allow the lab worker to draw varying amounts of a sample. Squeeze bulbs are most often used to draw the fluid into the pipet. A lab worker squeezes the bulb as she places the pipet’s open end into the solution and releases the bulb to collect her desired quantity of fluid. Volumetric flasks are used to create precise quantities of solutions. A graduation line is etched into the volumetric flask’s neck to indicate volume, and the lab worker begins to fill the flask by first adding the solute. She continues by pouring in her solvent and then gradually adds drops of water as needed to bring the level of her solution up to the flask’s graduated line. UCLA Chemistry & Biochemistry: Use of a Separatory Funnel or "How to Do an Upscale Extraction"
Orrill, Jim. "Glassware Apparatus & Their Uses." Sciencing, https://sciencing.com/glassware-apparatus-uses-7445911.html. 25 April 2017.